TalkTalk actually say now all of their packages come with TV now even if you dont have a tvbox. So they're applying this £4 charge to everyone !!!!!!!!!!!!! 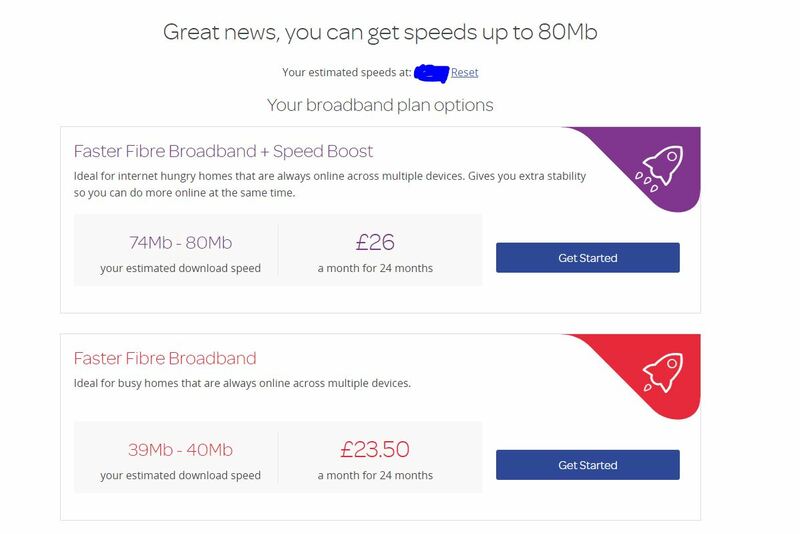 The best information we have is that the £4 charge is only applied if you have connected a YouView box to your home network in the past 60 days (it doesn't need to be a TalkTalk-branded box though). This info originally came via the PR department, and has since been confirmed by two CEO-complaint reps, plus at least one OCE. 3 km line on THTG: 16/1 Mb/s with TalkTalk Retail. Previously: BT ISDN, Nildram, Plusnet, 186k, EFH, Be*, Plusnet (again), Pulse8, Sky, Plusnet Business. Where do they say that? I see no evidence of that on that TalkTalk sales website. No obligation to add £4 for TV, although it was an optional extra offered. Some people are now being told they were sent the £4 letter by mistake, and the £4 will not apply to them. I've not seen a clear statement to the effect that the "mistake" was identifying people simply by having a YouView box connected over the past 60 days, but I wouldn't be surprised if that's what TT means. Some people are now being told they were sent the £4 letter by mistake, and the £4 will not apply to them. �and at least one is now complaining that they were charged £4 after all!